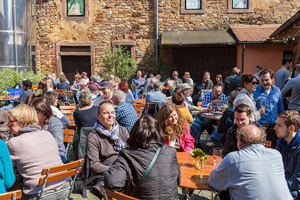 You should take note of this: on the 4th and 5th of May, we celebrate "Frühling in den Gassen" ("Spring in the Alleys") for the third time, in our old house. On Saturday we start at 2:00 pm, from about 3:00 pm we offer live music in our yard. Sunday we already start at 11:00 am, music starts around 1:30 pm. In addition to a selection of our wines, we offer you delicious, self-made appetizers. 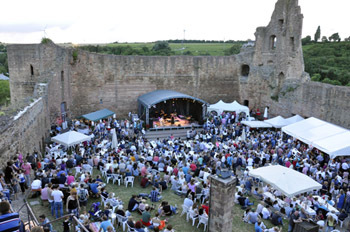 Starting on Thursday, 25th of July, till Monday, 29th of July, we plan to celebrate life at the NEULEININGER BURG-WEINFEST. Check your calendar, mark it bold and colorfoul, take a few days off, take your friends with you or forget about them and find new ones right there, and celebrate the best time of the year together with us! You can expect: the best (and most sympathic) live bands around, great wines and food from Neuleiningen,or simply: an original, stylish, and for sure very unique wine event. We'd be very glad to have you!